Perfect for a luau or tiki bar, this natural raffia table skirting can be trimmed to make grass skirts or to embellish other island decorations. Tie the ends together to use as a table skirt. It measures 108" wide and 30" long. It measures 108" wide and 30" long. 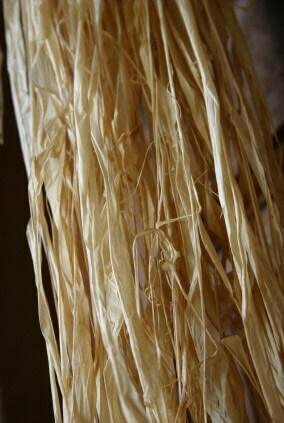 Perfect for a luau or tiki bar, this natural raffia table skirting can be trimmed to make grass skirts or to embellish other island decorations.